With the Moscone Center rebuild (mostly) complete, one element particularly stands out after dark. Every time I walk by at night I see people snapping photos of the light display in the glass-walled skyway between Moscone North and South. I was pretty surprised when the contractors began construction on the skyway — why would a convention center that’s mostly underground need an above ground walkway? It’s particularly odd considering the new above ground space is only in Moscone South, though to be fair I haven’t been inside since the recent renovation. 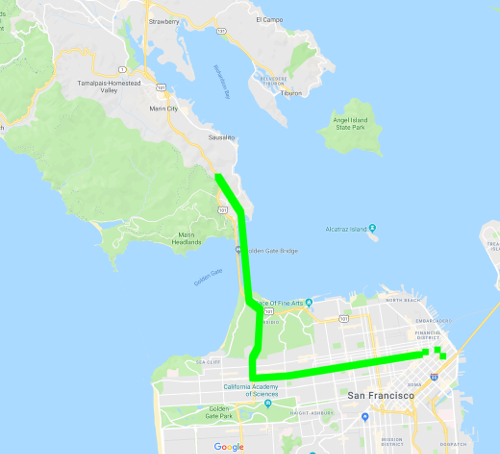 But now that it’s there the skyway’s colorful LED light display fits with SOMA’s other light displays including the Metromile building, the Bay Lights on the Bay Bridge, and the video screen hat on Salesforce Tower. While it lacks the playfulness of the Bay Lights or the detail of Salesforce Tower’s videos, the Moscone Center’s skyway lights makes up for these shortcomings in sheer intensity. Like a house covered in far too many Christmas lights you really can’t miss it. I suspect that’s why it’s becoming a spot for photos. Here’s to hoping this relatively simple LED light show works better than the failed video art screen at Moscone West. 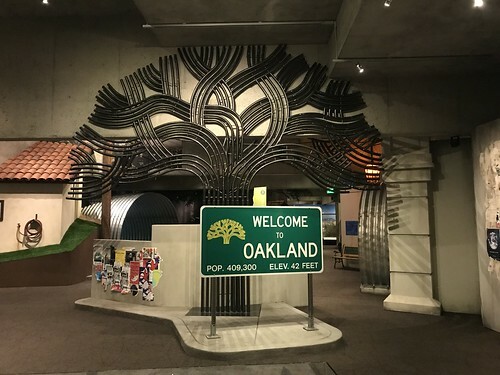 With so many museums in the Bay Area to choose from, I’d never gotten around to visiting the Oakland Museum of California until yesterday. It’s not that it wasn’t on my radar, I just wasn’t sure what it was aside from a funny looking building I occasionally pass by while walking from the Lake Merritt BART station to Lake Merritt itself. 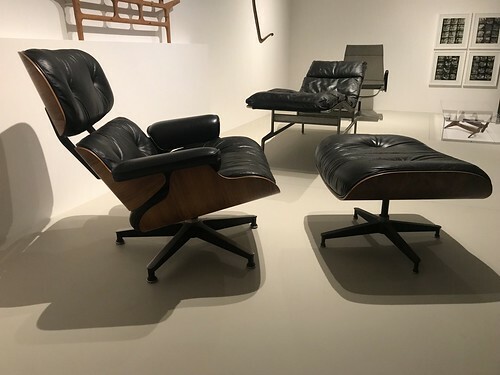 The reason I finally decided to visit was the Eames special exhibit (more on that below.) A while back they had a special exhibit on Pixar and I’ve been kicking myself for missing it ever since; the Eames exhibit ends on February 18th and I was determined not to make the same mistake twice. 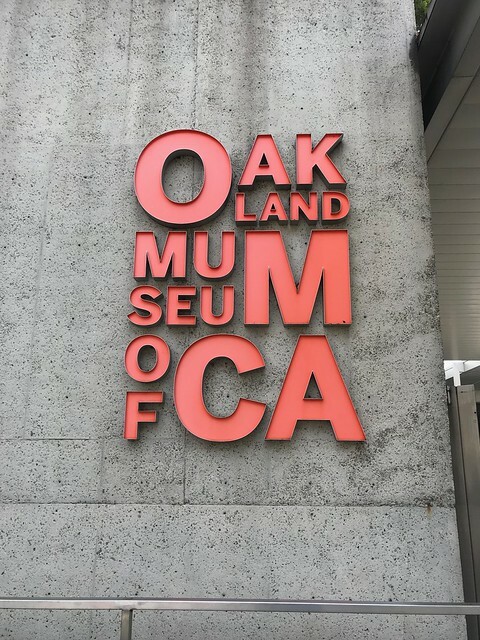 Before going any further, what is the Oakland Museum of California? The name tells you where it is, but not what kind of museum. Is it an art museum? Science? History? Who’s the target audience? There’s no definitive answer but I’ll provide the best one I can at the end. I bought tickets at the museum rather than online. In the morning this wasn’t an issue, but in the afternoon the lines grew significantly longer. If you buy a “print at home” ticket you only have to wait in a short line to exchange your printouts for a sticker. As far as I know you can’t present tickets on your phone. For backpacks and jackets they have a number of free lockers available. These work like hotel lockers where you punch in your own PIN. Be sure to test these before you leave your stuff here, I tried two lockers before I found one where the lock worked correctly. If you’re at all familiar with mid-century American furniture you’ve probably heard of Eames. Even if the name doesn’t ring a bell you’d probably recognize many of their iconic designs from shows like Mad Men or even cheap knockoffs sold at chain furniture stores. Eames wasn’t some big faceless furniture company — it was the name of a Los Angeles design firm headed by husband and wife designers Charles and Ray Eames. While they both passed away a few decades ago, many of their iconic furniture designs are still manufactured today. 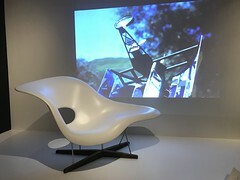 In fact I’m even writing this from the comfort of an Eames Aluminum Group Management Chair. 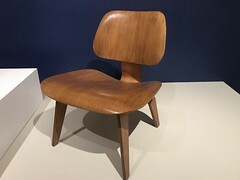 Despite the Eames name being most closely associated with furniture it’s hardly the only type of design work they produced. The exhibit doesn’t go too deep into how Charles and Ray got their interest in design, instead delving into World War II as the couple experimented with molded plywood to develop leg splints and stretchers for wounded soldiers. When this didn’t pan out they turned their focus to home and office furniture after the war, partnering with Herman Miller for manufacturing and sales. This is where the exhibit took an unexpected (to me, at least) twist into film. After working on a few very short films Eames was hired by IBM to create a film for an exhibition. 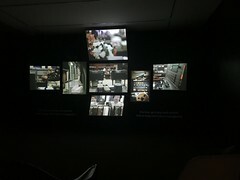 The film was displayed on several screens and explained in simple terms how to break down a problem into a model so a computer could help solve it. One such example involved predicting the weather, using the weather data to predict attendance at a baseball game, which the stadium would use to know how many hot dogs to order. Like most old educational films it’s a little hard to judge this one by modern standards. For one thing I doubt most people need to be sold on the concept of computers anymore. 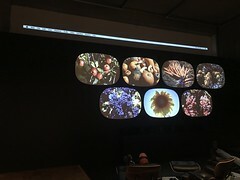 Another Eames film in a similar multi-screen format was originally shown in the Soviet Union as part of a cross-cultural program. The description said this was intended to highlight advantages of American capitalism. 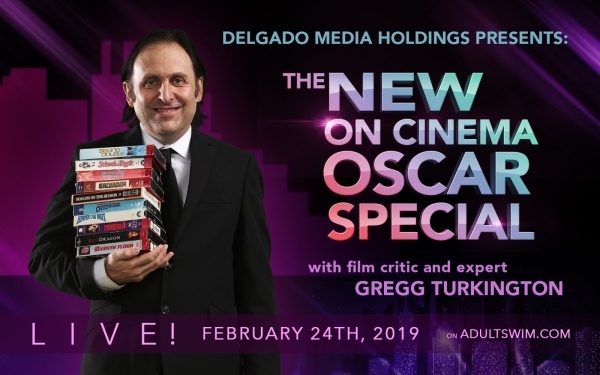 This film didn’t age well; the dated images of Americans driving to shopping centers came across less like a promotion of capitalism and more like a parody of suburban banality. Between the dimly lit room, slow pacing, and the Eames Lounge Chair I was relaxing in, it felt like time for a nap. Each mini-theater at the exhibit featured Eames chairs to sit in but this one felt like a particularly poor choice. The last film in the exhibit surprised me the most because I’ve seen it several times but had no idea it was created by Eames: Powers of Ten. 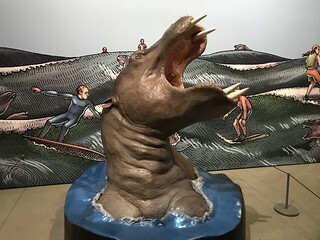 The exhibit includes three versions of the film, starting with a glorified storyboard and ending up with the final 1977 version above. Each version begins with a guy sleeping after a picnic in a park, then zooming out exponentially in powers of ten until ending up at the limit of the observable universe. The final version also zips back in the opposite direction into the nucleus of an atom inside the picnicker’s hand. I think the film still holds up even if the graphics look a little dated. 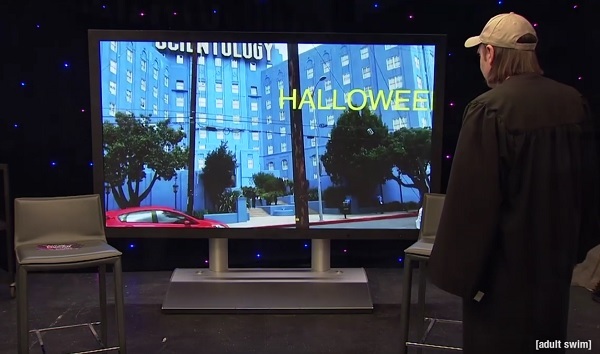 Spend the next ten nine minutes watching the video above for yourself if you’ve never seen it. 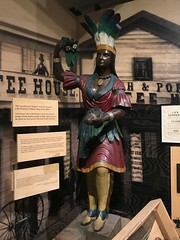 After grabbing lunch at the museum’s cafe I headed back across from the special exhibit hall to see one of the three permanent exhibits: the Gallery of California History. Those of us who grew up in California probably won’t get much out of this one, but for kids there’s a lot of objects you’re free to touch or little doors and boxes to open. The exhibit starts with the lives of California’s first human inhabitants, the native Ohlone people. From there time skips ahead with the arrival of the Spanish, followed by the takeover by America and the Gold Rush. Here the exhibit takes a bold yet straightforward stance: it refers to American settlers slaughtering California’s Native Americans as genocide. This dichotomy of high and low moments continues throughout the decades as the exhibit goes on. Chinese laborers build the transcontinental railroad, only to return home to California facing racism and violence. 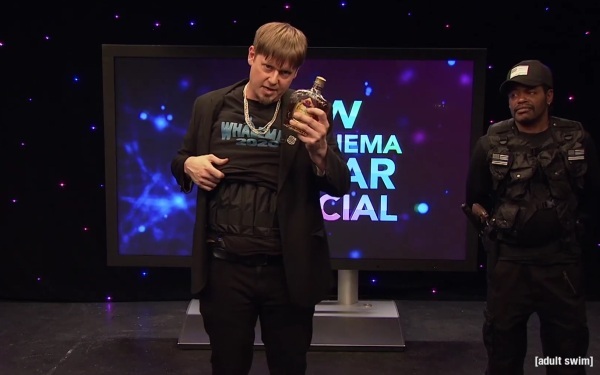 Hollywood movie studios sprang up, but all the good roles went to white actors. The 1906 earthquake and fire destroyed most of San Francisco leaving hundreds of thousands of people scrambling to find new lives, if not outright inventing new ones due the destruction of their paper documentation. Japanese internment camps stripped over one hundred thousand people of their rights during World War II. 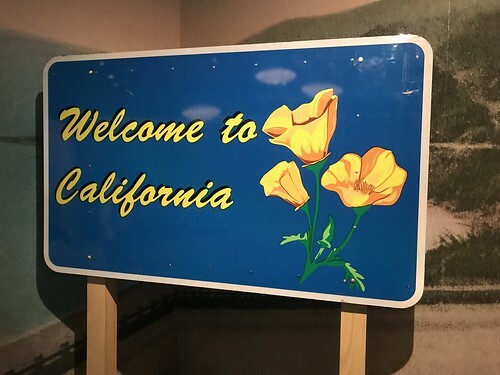 Black Californians began protesting for equal rights in the 1960′s and 70′s, and at this point the exhibit’s timeline starts to seem more familiar. 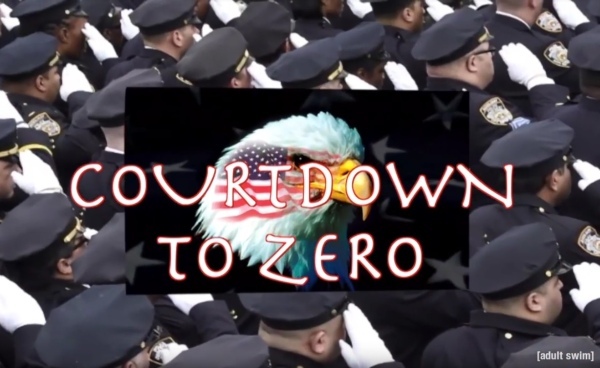 News footage, statistics, and a list of demands from the Black Power movement still seem relevant today. The final section of the California History gallery wasn’t 100% operational during my visit, but what was open felt both interesting yet incomplete. It focused on the achievements of Silicon Valley with Hewlett Packard and Apple starting out of their founders’ garages. 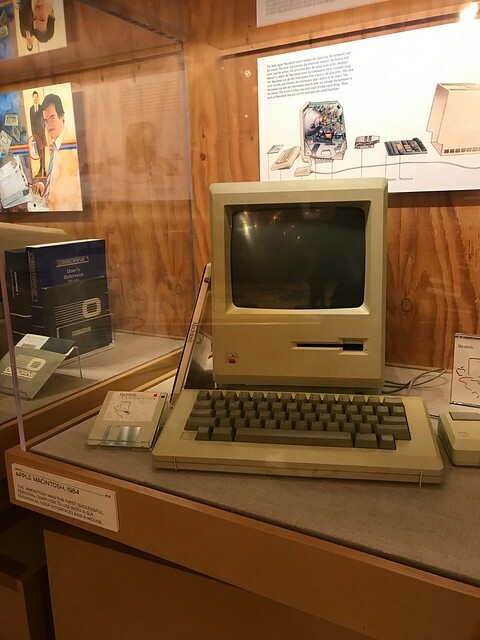 Yesterday’s computers were behind glass, including an early Mac and a Palm Pilot. I’m sure I’m not the only one who felt old seeing these “ancient” relics in a history exhibit. The absence of any deeper insight of this part of the gallery was surprising. Perhaps it’s too soon to say who benefited or lost due to Silicon Valley’s rapid rise? It hardly fit the rest of the exhibit’s analysis of California’s history. 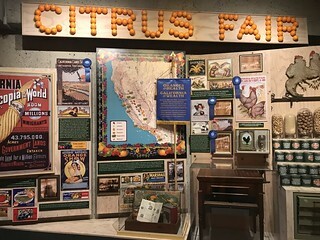 Just under the history gallery is the first floor exhibit on nature in California. I hate to say it but this exhibit doesn’t have much going for it. The environmental info was hardly new or surprising, and the taxidermied animals felt a little creepy. Not sure who it was intended for as this exhibit was nearly deserted during my visit with maybe five or six others. I quickly bailed on this gallery, but not after snapping the above photo of Oakland’s tree logo built out of pipes. The art gallery includes many styles and forms of art from or relating to California, arranged chronologically. 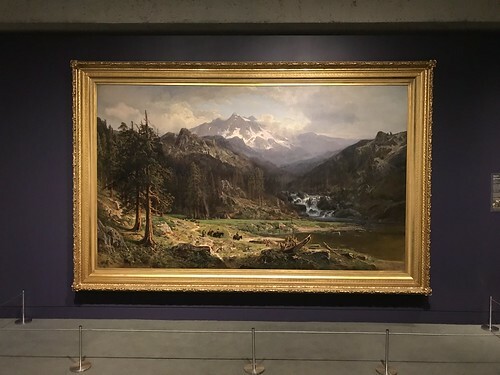 The first part of the gallery largely focuses on 19th century oil paintings, mostly landscapes. Yosemite Valley is a recurring theme here as well as Gold Rush era San Francisco. Gold Rush era photographs are displayed in a small side room, which I almost missed. That would have been a mistake — although the photos are very small, they’re also quite detailed and provide a glimpse into the past most of us rarely get a chance to see. 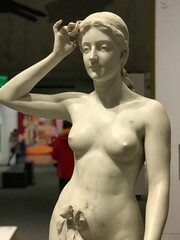 Walking away from the entrance is like a trip forward in time, with figure paintings, photographs, Impressionism, dioramas, modern art, and lastly a few contemporary special exhibits. It’s undoubtedly a solid collection though I wasn’t clear how some of the pieces connected to California, even after reading all the descriptions. Unlike the rest of the museum there’s not much for younger children to do in the art gallery. Before moving on here’s a couple paintings early on in this gallery I found interesting. 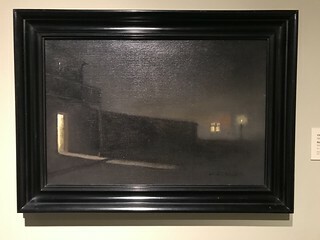 This piece by George Henry Burgess captures an unfamiliar landscape… or does it? 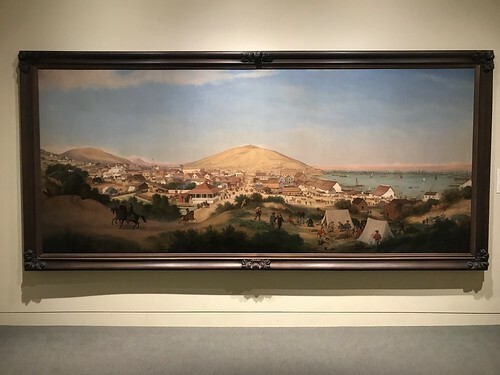 The painting shows Gold Rush era San Francisco featuring Telegraph Hill in the center, with what I believe is Montgomery Street (or perhaps a parallel street west of Montgomery) leading up to the hill. If you look closely a the edge of the bay there’s a pier under construction. 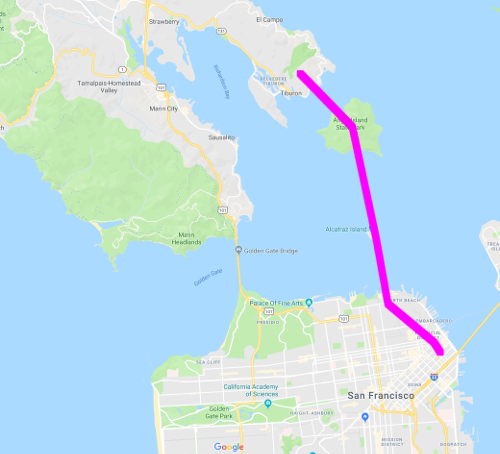 All the ships are much further out in the bay, since the water was far too shallow near the eastern edge of San Francisco to bring ships closer in. What’s now Embarcadero and the Ferry Building would have been underwater. 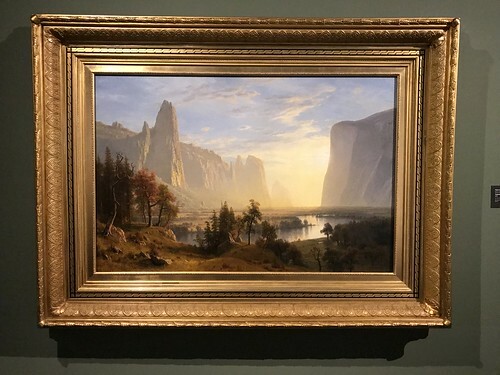 The above painting by Albert Bierstadt sits at the end of a hallway. At first I didn’t think much of it — it’s clearly Yosemite Valley, perhaps on a hazy morning — but the background is so overdone it looks almost cartoonish. But in front of the painting there’s a few seats with headphones. I sat down, put on a pair of headphones and hit the play button. An unnamed narrator (who sounds suspiciously like Oakland-based podcaster Avery Trufelman) walks the viewer through a short meditation-like exercise of essentially imaging oneself in the painting. I came away enjoying the piece more after this exercise, and wondered why museums with audio guides don’t have similar features to help guide viewers in appreciating a piece rather than simply discussing facts about it. A network of terrace gardens, stairways, and patios extends across and above the museum, with a grassy field at the bottom. 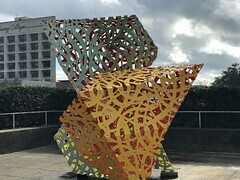 There’s a number of outdoor sculptures to see. During my visit some of the walkways were covered in large puddles due to the rain earlier in the day. On the field down below a Chinese New Year celebration was taking place. Not many people had turned up, probably due to the weather. I’m not sure if you need museum admission to enter the garden. I put on a sweatshirt that completely covered my museum admission sticker and nobody stopped me or said anything. 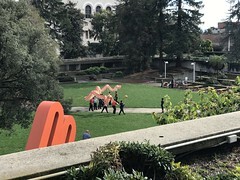 So, what is the Oakland Museum of California? 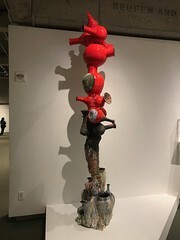 With the three galleries covering different topics and exhibits for both children and adults, this museum wants to be all things to all people. Without any clear focus it’s a hit-or-miss affair, never quite going into the depth I’d expect for a museum of this size. There’s something else going on here too: according to the education section of the museum’s website students can “[e]xplore art, history, and natural science under one roof…” The website also includes curriculum for teachers. During weekdays the museum must act as a magnet for school field trips. 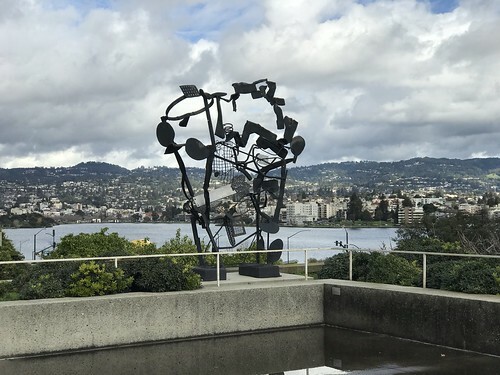 My recommendation: I don’t think I’d visit the Oakland Museum of California just for the permanent collection. That said if there’s a special exhibit that sounds interesting it’s worth checking out the rest of the museum too while visiting, or at least the top two floors (history and art galleries.) The cafe’s fine, though you could probably find better options nearby. 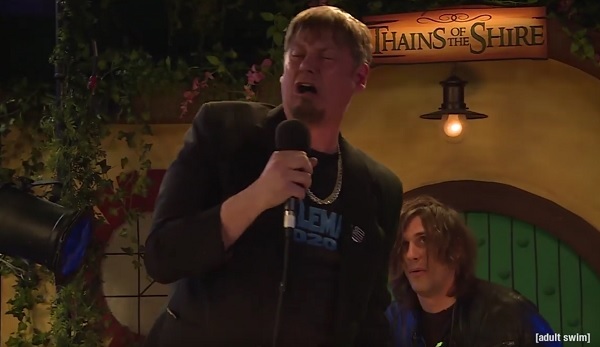 You are currently browsing the MrEricSir.com blog archives for February, 2019.